Possibly my favorite Featured Designer from last fall's One Room Challenge wasn't a New York or LA celebrity designer, but an Ohio-based DIY blogger who's knocked it out of the park on two other One Room Challenges--and who I got to interview! 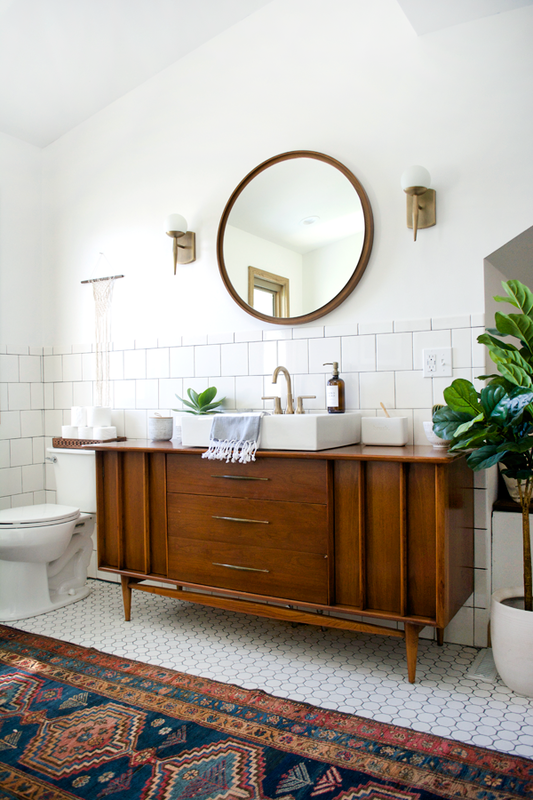 You've probably seen Bre's amazing master bathroom makeover... vintage dresser vanity! Black framed sliding shower door! Tub enclosure! 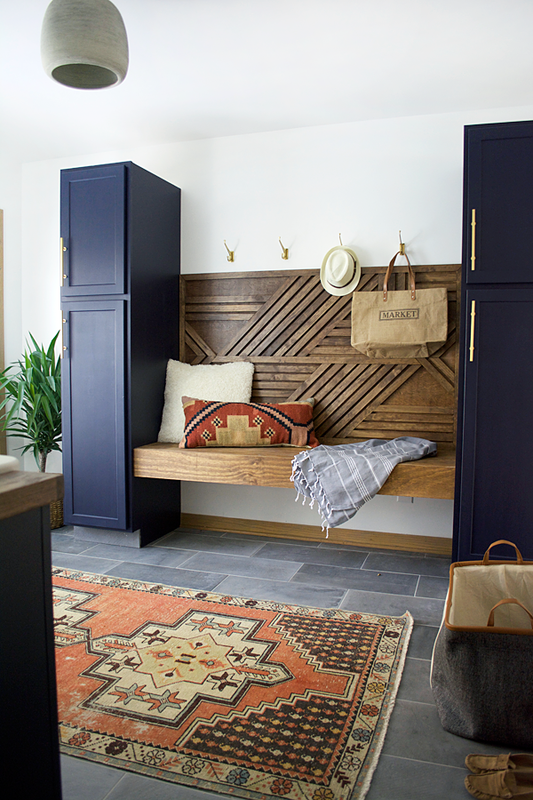 And her laundry room featuring floating bench and DIY wood wall! 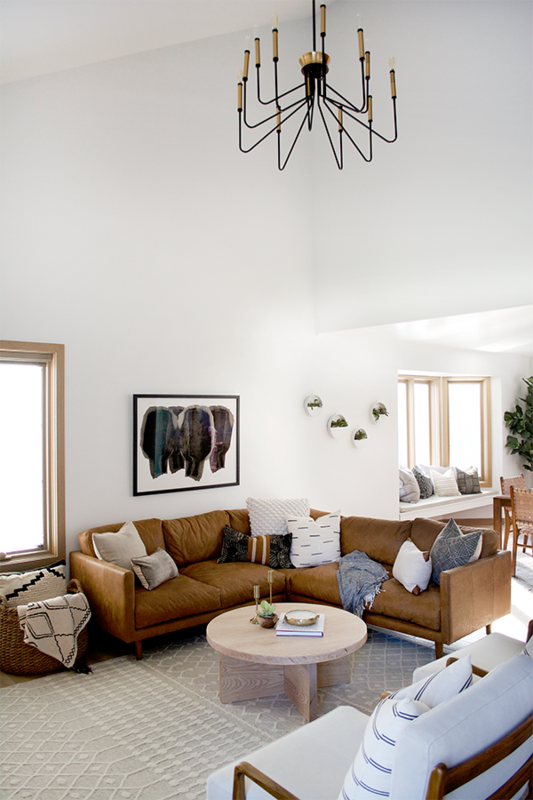 Last fall she made over her great room, fireplace!, and dining room, and... WOW. Next level. 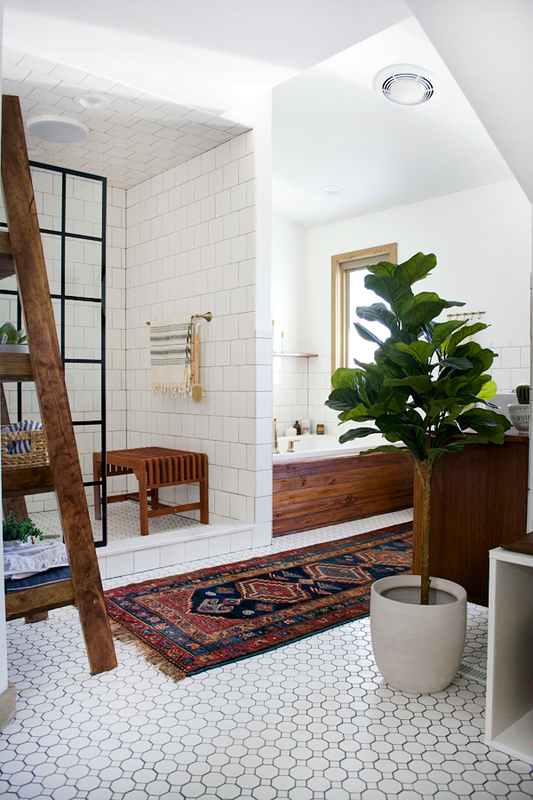 Way, way beyond what you usually see from a DIY blogger. She also has a unique situation in that she and her husband and two little kids share a home with her father-in-law. I am so interested in that, multi-generational living is definitely a more common thing these days and might even be in our future! This week on the Your Home Story podcast, we interviewed Bre about her design process, her family living arrangement, how she budgets for room makeovers/home projects, her go-to online sources for home decor, and more! She has a TON more beautiful room makeovers on her blog and Instagram too; check out her project gallery for more. Listen here or in your podcast app!